The first thing I noticed is there is very little odor from the filler. I’m highly sensitive to scents due to sensory issues, and even though this pillow is made of shredded memory foam I was able to use it within minutes of opening the package. Pretty much every other memory foam item I’ve purchased had to air out for days before I could be near without issue, including my current mattress. So for me this is huge! Another feature I really like is the shredded foam fill! I’ve used several memory foam pillows over the years and they’re always molded and firm and surprisingly unforgiving. This shredded aspect makes the pillow feel like it’s stuffed with down, but without all of those pesky feathers stabbing you out of nowhere! I’ve been playing around with the adjustable sections all day, and I probably will be doing so for quite a while until it’s just right, but I absolutely LOVE that it will stay just right once I get it there! I do need to check and see if it comes in a firmer model, because I’m not sure this one has quite enough filling for my taste, but maybe I just need to fluff it up some more. I can’t really fairly give much more of a review, because I’m still skeptical of the claim that it is easily washed and dried in standard household appliances, having destroyed every pillow I’ve ever owned by following its washing instructions. I’ll believe that when I see it. So after sleeping on it for a while, and putting it through a wash/dry, I’ll have more to say, but I’m definitely impressed so far! A Spoonie mom with three kids who keeps busy by writing, crafting, and generally being silly! Editor for Spoonies for Life and co-founder of the "Spoonies for Life" Support Group on Facebook. 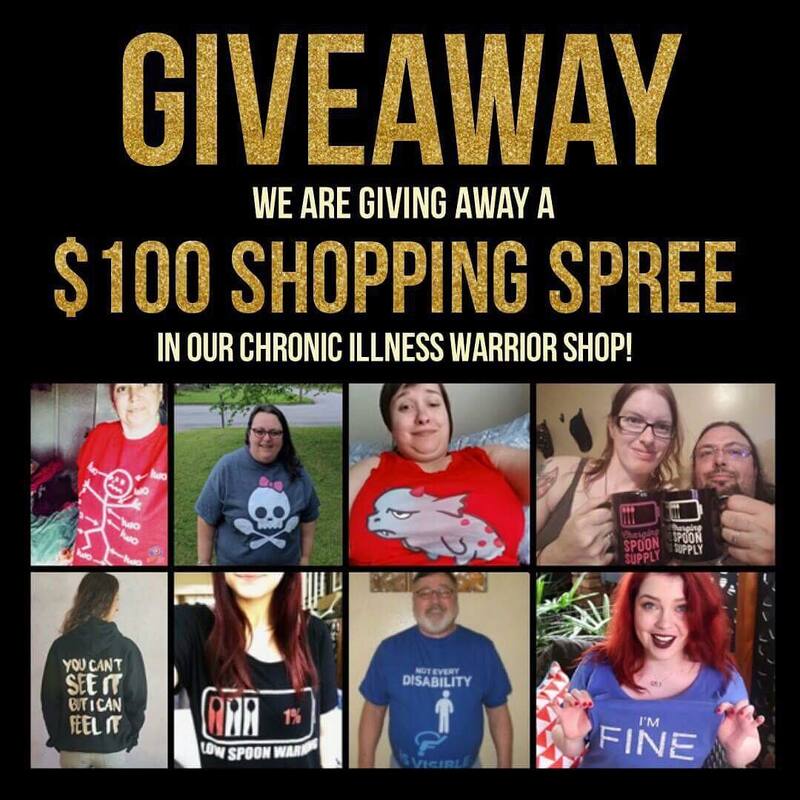 Creator and manager of a couple of much smaller communities including Parenting Through The Fog and Foul-Mouthed Fibro Warriors. V tries to spread a positive vibe wherever she goes! Hugs and spoons, everyone! I’m curious… I sleep on feather pillows so I can mold them under my neck. I’ve tried foam and never liked them. I also have gerd and am not supposed to lie flat. Also I start out on my left side, but in the morning am on my right. Do you think this pillow would be good for any of these problems? Thank you for “testing” it for the rest of us!! Thank you for question, Roxy! I think these pillows feel almost just like a feather pillow, minus the poking feathers. Due to my sensory issues, I could never stand to have the random poking and scratching from that, even though I love the feel of a feather pillow. 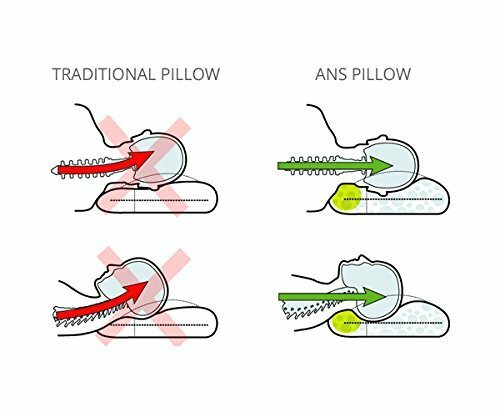 For your GERD issues, if you use a wedge or something to stay upright this pillow should work with that in the same way your current ones do. I’ve never really liked foam pillows either, due to them being molded and rather unforgiving. What I really like about this pillow is that the foam is shredded, so it feels like a standard pillow that can be fluffed just right. The BEST part for me was the adjustable factor! Being able to squish the fill into just the right places and adjust the firmness to my own liking is wonderful, plus having three specific pockets, once I get the filler fluffed into the right place it stays there! I haven’t had to wake up and re-fluff it in the night at all. I still wake up and toss and turn from my back to side to side (thanks, fibromyalgia) but I don’t have to mess with my pillow at all, I just roll over and go back to sleep. I hope this helps to answer your questions! This sounds amazing!! Thank you for taking the time to explain this to me. I shop ‘way too much on Amazon, but this would be sensible and beneficial.